Boogie 3D Blu-ray Review. 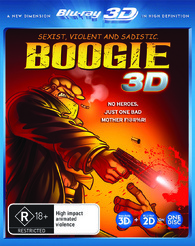 Boogie 3D is definitely one for the connoisseurs of whacky animation and 3D... or those folks who need more 3D content! This movie literally came out of the woodwork here in Australia but upon some further investigation, this film from Argentina is actually a cult classic in that country and in small circles across the globe. And after watching Boogie 3D, I think the same thing will happen here! The story is actually based on the ideas of Robert Fontanarrosa, the creator of the comic book which follows protagonist Boogie, a rather shady, abusive and violent character. Boogie is a master in killing and he has fought all over the world from Vietnam to the Gulf War and he sums it up perfectly by saying "I've been in ever #$%ing war in the 3rd world". Ironically this movie was also the first 3D animated movie to be created in Argentina and on our Samsung 3D, the 3D effects come look quite impressive. The film itself is directed by Gustavo Cova who turns this movie into a graphic novel that at times jumps out of your TV. In terms of story, Boogie is at times a little confusing and I'm not sure whether this was the conversion from Spanish to English or just the whacked out nature of what was happening. 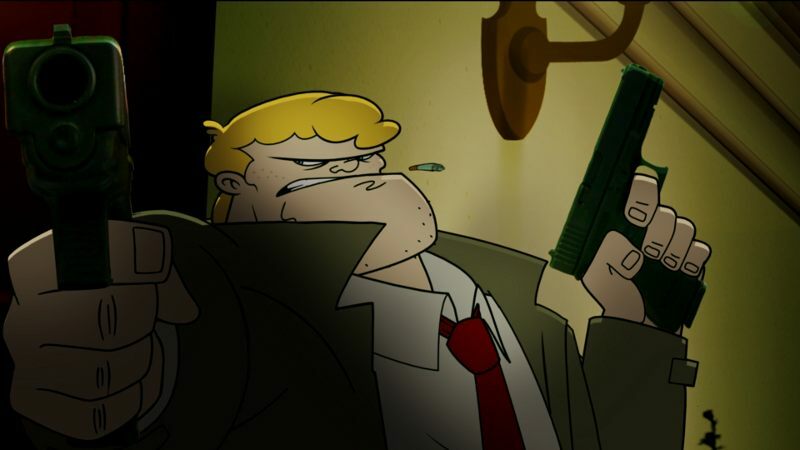 In laymen's terms, Boogie is basically an anti-hero and when he declines a "hit" from the local Mafia because the money was not enough, he gets insulted when they hire a cheaper hitman. To smooth his ego, Boogie decides to kidnap the witness whom he was originally hired to kill and it turns out that the witness is Marcia, the ex-girlfriend of Sonny Calabria, the mafia boss. There is a type of romance between Boogie and Marcia which eventually leads out to a ridiculous and quite over the top gun battle as the Mafia attempt to kill Marcia. Of course, Boogie comes to the rescue and needless to say, this gunfight near the end of the movie is probably one of the most impressive 3D scenes in the entire film. It's a classic love story... not! Definitely one for the connoisseurs of whacky animation and 3D... or those folks who need more 3D content! Go Boogie Go! The video quality is super clear with vibrant colours, great yet simplistic animation and some animation to ... die for! I love the stylised art rendered in this presentation which also go hand in hand with the CGI effects for 3D. Audio is equally as impressive through its HD-DTS soundtrack that BOOMS through the surround sound speakers. Unfortunately there are no special features included in this release.